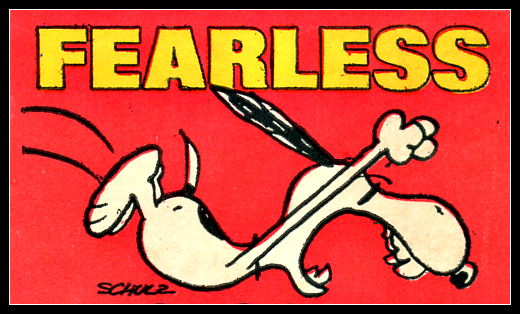 From fearful to FEARLESS, is a shorter leap than most would think. I recently read a post by Tara Reed on the ArtLicensingBlog.com entitled “Comfort or Courage?” A great post that it all comes down to a choice between being comfortable and or being uncomfortable for a while when you chose to be courageous. Tara helps artists succeed by bridging the gap between creativity and business. Check out her post “Comfort or Courage” and choose to be courageous. You never know what just may happen or is within your reach! I am taking a leap of courage the next two months and participating in the OctPoWriMo and NaNaWriMo! Write a poem a day during October, 31 in all, and write a 50,000 word novel during November. Watch for updates!